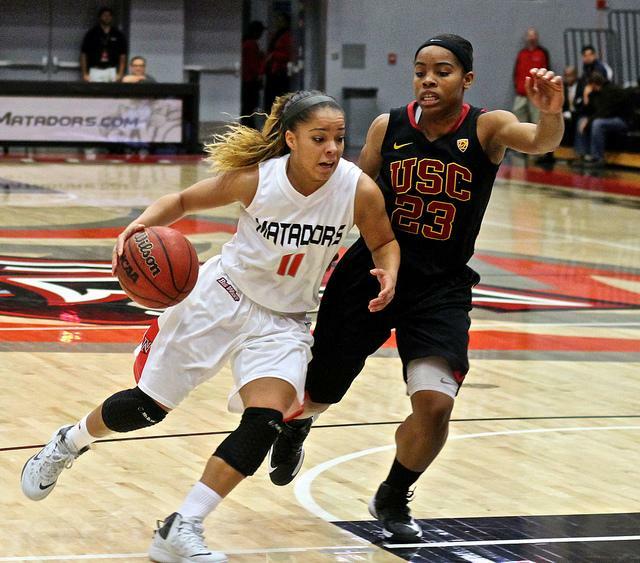 The Matadors continued to build on their hot start by defeating the Montana State Bobcats (78-66) in the second game of The Radisson Hotel Chatsworth Thanksgiving Basketball Classic at the Matadome on Nov. 28. 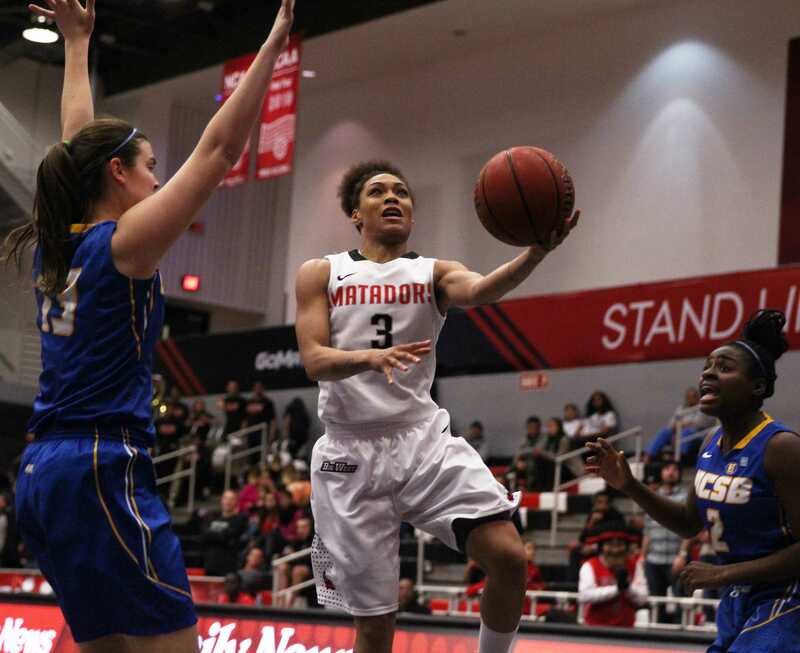 In a game that featured 10 ties and 10 lead changes, the Matadors were finally able to put the game on ice after a 3-point dagger by freshman forward, Caroline Gilling, that gave the Matadors a nine point advantage (73-64) with three minutes remaining in the game. Senior guard, Ashlee Guay, concluded her night by leading all scores with 24 points, 20 of which came in the second half. “I was slow [during first half] but others were playing well and that’s what kept us in the game,” said Guay. Junior forward, Jasmine Hommes led the Bobcats with 18 points, most of which came mercilessly in the paint during the first half, when the Bobcats shot 55.2% from the field. After getting off to a slow start that featured poor perimeter shooting and weak interior defense, the Matadors increased their intensity of play most notably after a controversial non-call that resulted in Guay crashing onto the scorer’s table. Second half adjustments resulted in better looks for the Matadors that featured multiple penetrating drives from guards Ashley Guay and senior guard, Janae Sharpe. 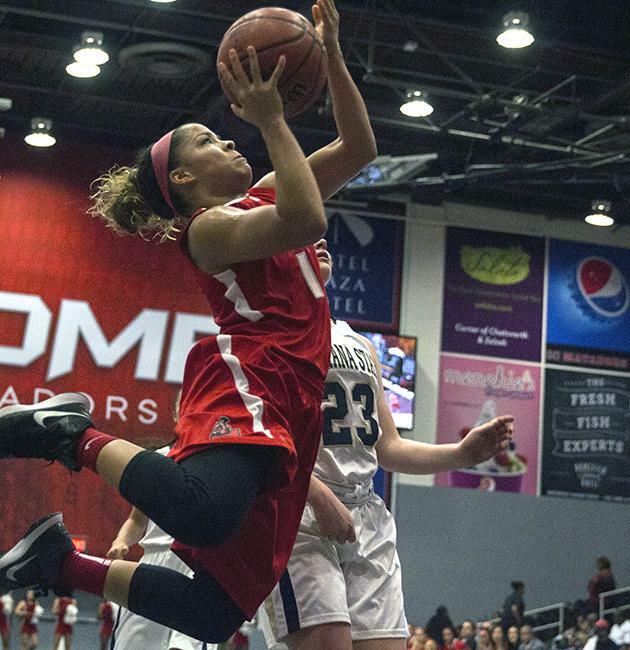 Matadors coach Jason Flowers credited center Camille Mahlknecht for her efforts on both ends of the floor. “A big difference in the second half was Camille on how she was getting offensive rebounds and second chance points,” said Flowers. 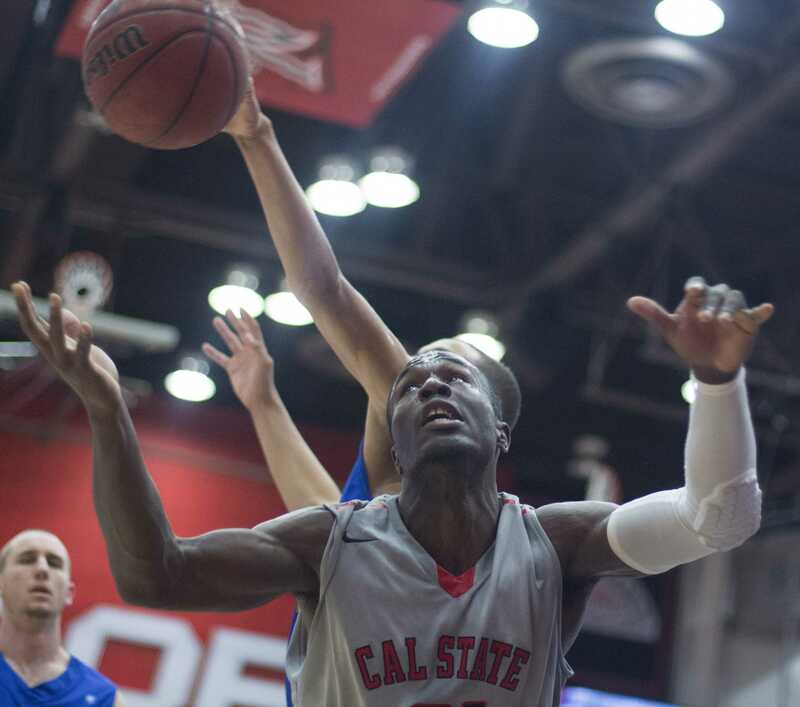 The Matadors were able to capitalize off the Bobcats turnovers and second chance opportunities with 22 points coming from each category respectively. Mahlknecht was able to provide the defensive lift that the Matadors lacked in the first half. “[Coach] told us not to leave our feet. 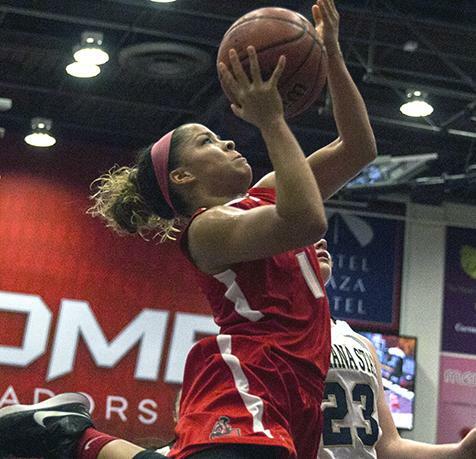 We were going for shot fakes a lot so we tried to make them score over us,” said Mahlknecht. 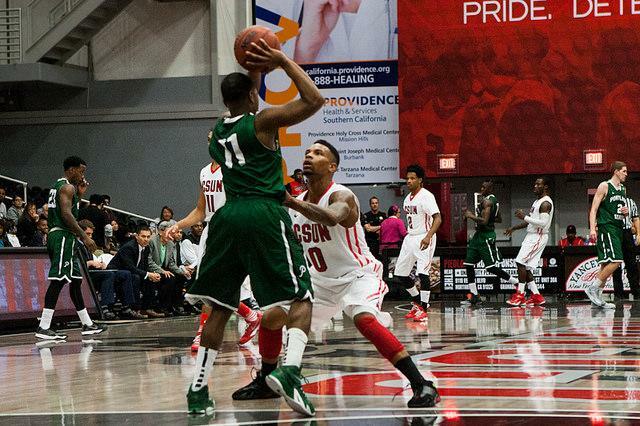 The Matadors were able to clamp down in the paint and held Hommes to 6 points on 3-12 shooting in the second half. Mahlknecht finished the game one point shy of a double-double but was able to grab 10 offensive rebounds (14 total) and six blocks. 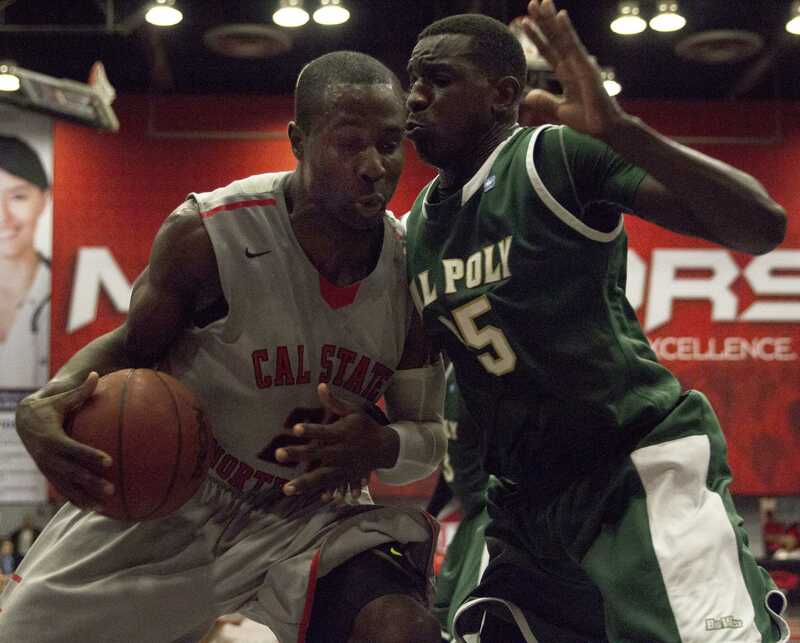 This is CSUNs first victory over Montana State since 2000, when CSUN was still in the Big Sky Conference. The victory automatically puts the Matadors in the championship game against Texas Southern on Saturday Nov. 29 at 2:30 p.m.